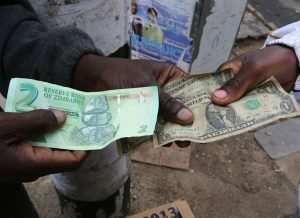 Zimbabwe’s government denies reports it may introduce a new currency this week, amid fears that such a move would worsen the country’s economic crisis. Zimbabwe abolished its hyper-inflation-destroyed currency in 2009 and mainly uses the US dollar. Former Finance Minister Tendai Biti, who is a senior official of the opposition Movement for Democratic Change (MDC) Party, termed those plans as “undiluted insanity”. “That move is pure undiluted insanity. An un-bankable currency is just the bond note by another name. 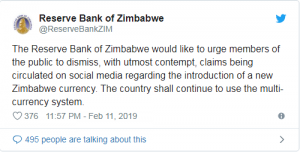 There is no country in the world that has voluntarily dollarised and that has ever succeeded in de-dollarising,” he said in a tweet. 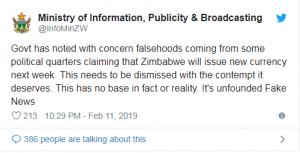 The Zimbabwean government described Biti’s comments as ‘fake news’. 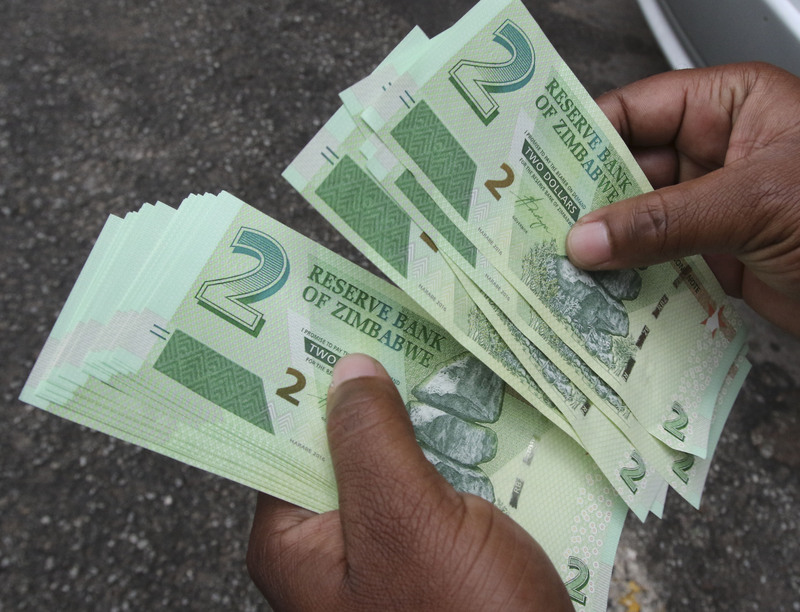 Finance Minister Mthuli Ncube has said Zimbabwe’s new currency would be released by the end of the year.